Edward Salim Michael taught the path he followed himself, the path of direct experience, beyond any belief or dogma. It is possible for human beings to experience another state of being and consciousness, which the different religions of the world call God, Buddha Nature, or the Self, and which is none other than their Source of Origin. As they usually are, human beings are cut off from this Divine Source. They must know It by direct experience during meditation, or, in other words, when experiencing enlightenment. It is the purpose of life and this goal cannot be reached after death, because we need the conditions of the manifested world to achieve it. The great mystics of different religions have all pursued this goal, their writings reflect the similarity of their ultimate experience. To arrive at this experience, the seeker must awaken from the foggy state of inner chatter in which he is internally immersed and which he considers to be normal. He needs to stop the flood of uncontrolled thoughts which follow one another in his mind without respite. 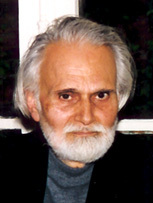 It is possible to experience a moment of true presence through special concentration achieved by the use of exercises, such as those to which Salim Michael gave exposition in his books. Indeed, only by continuous concentration will the seeker be able to sense the difference relative to his ordinary state, and begin to feel in what way he usually “sleeps” inside himself without knowing it. It is from the moment the aspirant has clearly felt this difference between his usual state of “waking sleep,” where he passively follows the associations of thoughts and images which follow one another without respite in his mind, and another state of being where he is attentive, present and conscious of himself in a way which is not usual for him, that he will know in which direction to carry his efforts forward. The seeker requires concentration aids. Bodily sensation and attention to breathing comprise two excellent methods of returning to oneself in a continual now. In addition to these two aids, there is a particularly effective one to reduce inner chatter: it is the inner sound, the Nada as it is called in India, which can be heard inside the ears and head. This inner Sound known to Buddhist and Hindu traditions is regarded in the Shurangama Sutra as the means, par excellence, of attaining Awakening. Salim Michael relied on this specific method to reach Awakening. Staying motionless for some time during the day is necessary to detach oneself from the impressions which constantly assail us from the outside world, in order to remain empty and available internally in a continual nowness. This requires the seeker’s continual attention and renunciation of the thoughts which will keep on appearing and conflicting with his desire to remain concentrated. The seeker will be greatly assisted in this subtle combat with himself by understanding the importance of uniting his body, mind and feeling. Normally, one is always divided within oneself. One must learn to be whole – at least at certain times – if there is to be any hope for crossing a certain threshold by detaching oneself from what one usually is. If the seeker can succeed in maintaining an intense state of presence to himself both in meditation and in active life, he will start to reach beyond the boundaries of space and time and know spiritual experiences which will forever transform his understanding of himself and the world which surrounds him. There exist several degrees of illumination. If the aspirant has known this experience, i.e., he has unmistakably recognized at least some degree of the higher side of his nature, his work will nevertheless have to continue on another level. Indeed, illumination is not liberation. From that time on, he will have patiently to fight to return again and again to this screen of pure Luminous Consciousness which he will have recognized in himself until he manages to remain there permanently. Only then will he have achieved the liberation of his state of being and ordinary consciousness and will he have conquered death which is not to be found at the physical level. Although all the great spiritual traditions attest to the difficulty of the task, it is nevertheless possible to succeed, as did Edward Salim Michael. The path taught by Edward Salim Michael is the one he followed, without any sort of dogma; personal comprehension and direct experience are its characteristics.